Look Sharp, Sconnie - Midwestern Fashion Nerd, Chronic Over-thinker: I Hate Who I Love. I Hate Who I Love. 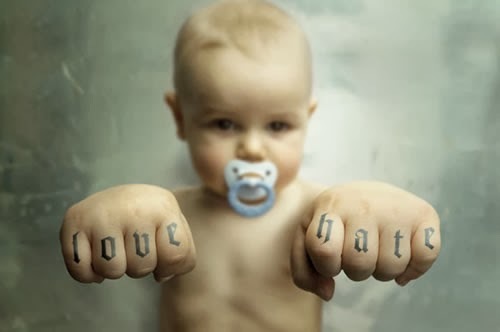 I have a very hard time differentiating between love and hate. Do you remember the three or four girls for whom you harbored a deep sense or resentment but also a disconcertingly large and conflicting amount of love? Do you remember that one quasi-athletic guy with shaggy, pre-Bieber, side-swept and semi-greasy but-oh-so-luscious brunette bangs and how you very verbally "thought he was so stupid" and "shallow" and "immature" but secretly wished that you were the girl who got to hold his clammy hand sans eye contact for the entirety of Final Destination 2? Now amplify it by 1,000. That is how I feel about successful people. Honestly, it's likely a form of flattery. It's a form of flattery with roots in immaturity and leaves sprouted from a lack of self confidence. But where it really becomes painful is in those situations in which I truly believe that I could have gotten where they are myself. It's that bitter taste in my mouth that stems from the (usually false) assumption that their triumphs should have been achievable by yours truly that cuts the deepest. Thus, enter the confusing host of conflicting emotions that comes into play when meeting blog goddesses. Just because the resentment stems from immaturity and false assumptions about how they reached their destination, doesn't mean that it isn't real. I definitely idolize people who maybe aren't that idolrific because they appear to have an aura of success or comfort in their abilities that is undeniably enviable and (unfortunately) impossible to emulate.